A few weeks ago I decided to start a small test portfolio investing in p2p loans at Zlty Melon. Zlty Melon is a p2p lending marketplace in Bratislava, Slovakia (see earlier articles about the Slovakian market). The marketplace lists loans to borrowers in Slovakia in Euro currency and to Czech borrowers in CZK. On the investor side Zlty Melon is open to residents of the European Economic Area. The website is available in English, Czech and Slovak languages. I deposited 400 Euro via SEPA transfer. If you need currency conversion during a deposit, it might be cheaper to use Transferwise or Currencyfair than to do a direct bank transfer. Zlty Melon offers a range of loan types from unsecured consumer loans to ‘cashfree housing loans’ which the site describes as follows: ‘Loan to finance a new housing purchase. This loan is provided in cooperation with a well-known developer and is used to cover part of the purchase price of the property bought by the applicant. The real estate is being under construction.’. 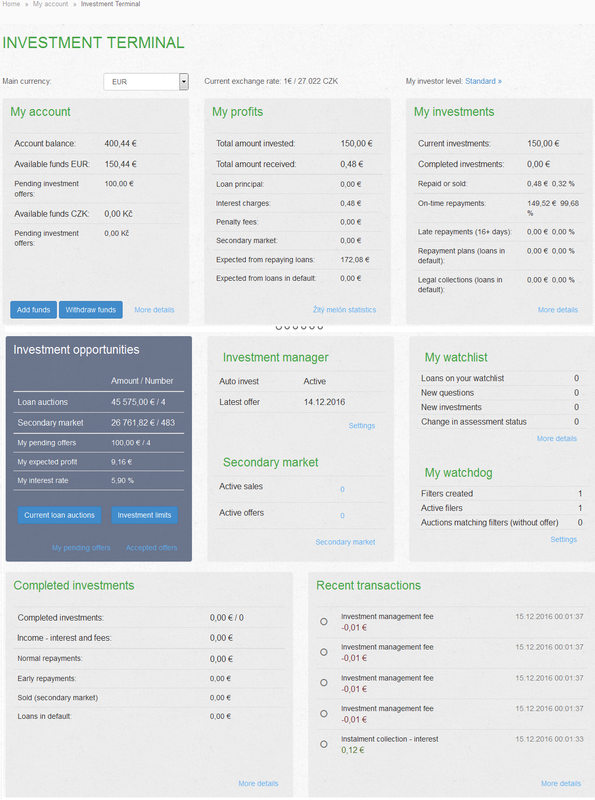 I set up an autoinvest (called ‘Investment Manager’) to automatically bid 25 Euro on each new cashfree housing loans, as these seem the most secure loans and so far according to Zlty Melon’s statistics for this loan type there have not been any defaults. I set it up to invest in Slovak loans only as I didn’t want any currency risk. Maturity periods range from 1 to 5 years. For this loan type the interest rate is 5.9% p.a. and Zlty melon charges investors a fee of 0.33% on all installment payments. EDIT: Currently Zlty Melon runs a promotion for investors – if a large amount is invested in a single cashfree loan then investors can earn up to 1.1% bonus interest, making the total interest rate up to 7.0%. For unsecured consumer loans (which are graded AA to D- & HR) interest rates are much higher – up to 30-40% for HR loans – and the fee is 1%. Investors there engage in auction bidding against each other. As I started only a few weeks ago, I don’t have that much experiences to share, only that the website is easy to use and offers a lot of information. With my selection criteria there is quite a bit of cash drag, as there are not that many new loans that match my filters. The total new loan volume (all loan types) that Zlty Melon originates each month is about 0.2 million EUR. Zlty Melon has a good comprehensive statistic page. Zlty Melon does have a secondary market, but I have not used it. While the interest rates on the loans I invest in are rather low, I like that the possibility to invest into Euro based p2p loans in a marketplace outside the Baltic area for diversification. I will see how my test portfolio develops and report on it periodically. According to information P2P-Banking.com obtained from the Žltý melón management, the first tranche was little below 1M EUR, with the agreement for additional capital in range of 2M EUR after several milestones will be achieved. Žltý melón acquired investments from EU-investment fund program JEREMIE, which is managed by Limerock Fund Manager, FTK Invest, an investment company, and Mr. Hendrik Bremer, a long-time business partner of financial services in Central and Eastern Europe at PwC and Roland Berger, strategy consulting companies. Mr. Bremer has also joined the company’s management and thus supports its existing team. 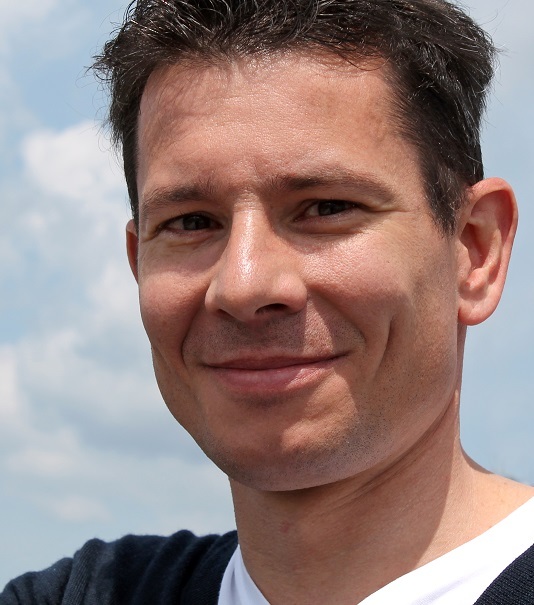 Read an earlier guest post by CEO Roman Feranec about the P2P lending market in Slovakia. The company plans to expand further into the Czech Republic and other countries in Central and Eastern Europe. Slovakia is an Eastern European country with 5.5 million inhabitants. The country borders with Poland, Czech Republic, Hungary and Ukraine. Regarding its real GDP per capita exceeding 10 thousand EUR, it is one of the most developed countries in eastern European region. Slovakia is a NATO and EU member and in 2009 the country joined Eurozone and started using EURO as its currency. Peer to peer lending, also known as Marketplace lending, started in Slovakia at the end of 2012. In just two years of operation it proved that it could be an interesting financial alternative with valuable benefits for people in need of money, as well as for people looking for a stable and good appreciation of their savings. This all despite the fact that Slovaks are generally more conservative than their peers in western countries and banks in Slovakia were almost no hit by the recent financial crises. The Slovak market of unsecured consumer lending reaches a volume of approximately 150 million EUR in new loans every month. There is a big competition between 12 retail banks keeping the average interest rate at about 14 % p.a. P2P loans at the moment represent just a tiny fraction of the market with 0.1 % market share. This can also show a huge growth potential for this alternative.